When heavy rains send water into properties, home and business owners expect sump pumps to spring into action. Sump pumps are a useful tool in any home or business, especially during Florida's rainy season. Sometimes, however, these devices malfunction or fail to function, putting the property at risk of flooding and water damage. Like any appliance, regular maintenance and repairs are key to ensuring your sump pump will work smoothly when needed. Keep your appliance in optimal condition by scheduling services with Sunshine Plumbing and Gas. Our plumbing repair company can prepare your sump pump for the next storm, so you’re never left dealing with a disaster situation. We will inspect the system, diagnose any issues, and have fixtures working again in little time. Call us today! A sump pump has one main job: to prevent flooding in a home or business. 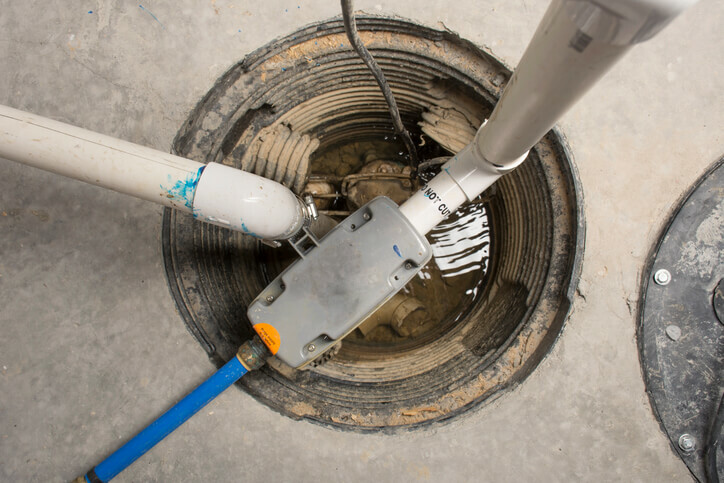 Traditionally, sump pumps are installed in the basement of a home or building, but in Florida, they’re often found in a crawlspace or the lowest part of the ground level. When water enters a building, it flows to its lowest point. If a sump pump is installed, this is the pit or reservoir. Two of the most common types of sump pumps available are submersible and pedestal sump pumps. When you contact us for plumbing services, we will help you determine the best option for your situation. The pump sits in a sump pit that is usually about 2 feet by 1.5 feet in size with a gravel bottom. As water enters the pit and triggers the pressure sensor or float activator, the pump begins to force water out through pipes in the pit. A check valve keeps water from flowing back to the pit. A pedestal sump pump begins working when its float raises with the water in the reservoir. A hose draws the water up, and then the pump, which sits above the floor, forces the water out of the building through the pipes. What Are Signs That My Sump Pump Needs Replacement? Sump pumps generally have a life expectancy of 10 years. Regardless of age, if your sump pump exhibits any of these issues, it may be time for a replacement. Worn or damaged parts often create excessive noise or vibrations in a sump pump. A faulty motor bearing usually makes a high-pitched noise, while jammed or damaged impellers rattle or grind as they turn. Because most sump pumps are directly wired into the building, they’re at risk of damage from power surges. An Ocala plumber can inspect the sump pump after a power outage and let you know whether it needs to be replaced or repaired for adequate function in the future. Running the sump pump may sound optional, but it should be done every time it rains heavily. Regularly testing the pump allows you to check for signs of problems and support the internal components. A sump pump is designed to function in regular cycles, but an incorrectly adjusted float switch or wiring malfunctions, such as a short in the pump’s electrical system, can cause it to turn on and off intermittently. What Sump Pump Services Do You Provide? Regular maintenance and well-timed repairs for a commercial sump pump prolong its lifespan but not forever. When replacements are needed, Sunshine Plumbing and Gas works with Ocala business owners to find new pumps to protect their buildings against heavy rain and flooding for their commercial plumbing. Homeowners install sump pumps as a form of protection against flooding. Whether they’re used frequently or once in a while, residential sump pumps often need repairs because of debris clogs or electrical issues. Don't risk being stuck with a inadequate residential plumbing when heavy rain comes.